Doggy Daycare is an all-day free for all for the dogs that come. It takes a keen eye to keep the dogs from getting overexcited and to maintain a healthy level of play, which makes our Daycare Attendants excellent for the job, as they are astute and quick to spot any trouble. They have all been taught how to read dog body language and how to detect signs of irritation, illness, etc. Our Receptionists are the faces of Bear Brook. They are always ready with a kind word and a cheerful attitude in person or over the phone. They can pretty much help you with anything you may need. They also have all been taught how to read dog body language and how to detect signs of irritation, illness, etc. 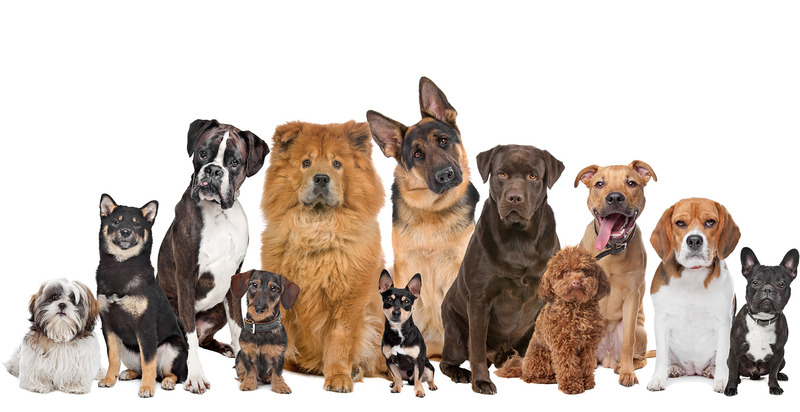 Many of our receptionists are cross trained for doggy daycare and as kennel techs. Our Kennel Technicians are the ones that take care of your pets while they're here at Bear Brook! They provide loving care and attention for all of the animals and make sure that your pets are comfortable during their stay. They have all been taught how to read dog body language and how to detect signs of irritation, illness, etc. Some employees are animal science majors at local Universities and colleges. Bailey came to us the summer of 2018. She is a graduate of Bergin University of Canine Studies in California. She is trained for all positions at Bear Brook Kennel with a concentration on training. If you have a behavior issue with your dog, then Bailey is your girl! She offers group classes as well as one-on-one training. She has Caliope, a young yellow lab, and Paxton, a black lab, and of course, both dogs are very well trained! 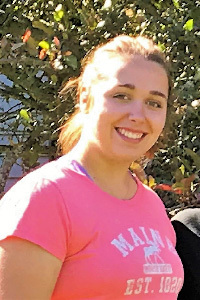 Julia is student at UMO majoring in animal sciences. She came to us in the summer of 2018! We are lucky to have her! Steve is a long-term employee who oversees the kennels as well as takes care of many of our maintenance needs. He’s our go-to guy for everything! Paige is an animal science major at UMO. She has 4 pet rats, all named after clouds: Aurora, Nebula, Rigel and Bellatrix. They are sweet and lovable little creatures! Paige has been with us for over a year and is crossed trained as a kennel tech, receptionist and Doggy Daycare! Mickayla is a nursing student and was originally hired as a receptionist, but she soon realized she wanted to work in the kennel with the dogs. She crossed trained to work in the kennel and eventually started filling in at doggie daycare. Cathy came to Bear Brook in early 2018 bringing a background in management and customer service. She has Minnie, a miniature schnauzer, and Abracadabra (aka ABRA), a Bengal cat. She is the lead receptionist and works on special projects. 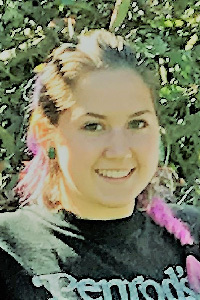 Her recent projects include updating our technical needs such as the website and computer software and hardware. Our grooming is a spa day for your dog or cat. We have you drop them off in the morning and then pick them up in the afternoon. They get a bath, nail trim, ear clean out, pad clean out, and a clip/brush included in the price of grooming. Our groomer can do almost any clip on any dog and works very hard to make sure that your dog or cat looks fabulous! Whether your cat needs a nail trim, or your poodle a new hairdo, Holly is here for all your grooming needs! Please don’t hesitate to call the front desk and schedule an appointment with her. Holly is available on Tuesdays, Wednesdays and Thursdays. Our trainers at Bear Brook are an intricate part of our facility. It's truly delightful to see them in action with a dog. Bailey knows her stuff! 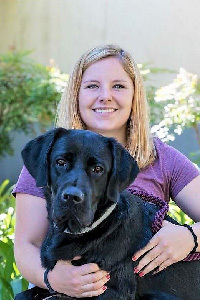 She loves helping novice dog owners grow into seasoned handlers and assisting seasoned handlers improve even more. She is a graduate of Berkley School of Canine Studies in California. She offers puppy and obedience classes as well as one-on-one training, if you prefer a one-on-one session. In summer weather, she offers agility courses too!